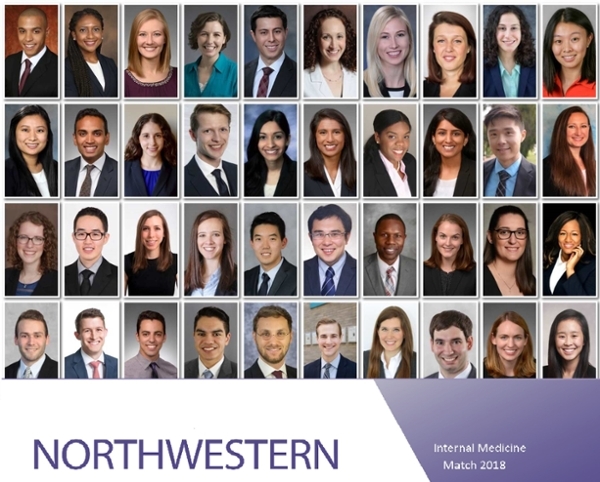 We are thrilled to announce our Match 2018 results and welcome the Internal Medicine Residency Class of 2021! View the 2018 Match Slideshow and learn more about the class of 2021. Top interviewers: HG Munshi, Iasha Sznajder, Bruce Henschen, Dan Evans, Robert Hirschtick, David Neely, Emily Jones, Eric Cantey, James Flaherty, James Paparello, Michael Ison, Mobola Campbell-Yesufu, Peter Sporn, Cheryl Lee, Margaret Chapman, Sara Chuzi, and Yursa Cheema.